Microsoft Dynamics NAV Partner | Turnkey Technologies, Inc.
Microsoft Dynamics NAV, now Microsoft Dynamics 365 Business Central, is an easily adaptable ERP solution designed for small and medium-sized businesses that have outgrown their limited accounting software. Dynamics NAV helps businesses automate and connect financials with sales, purchasing, operations and inventory management. As a leading Microsoft partner, Turnkey Technologies provides complete application lifecycle services for Dynamics NAV, including requirements planning, design, development, implementation, upgrades and support. Let us help you take full advantage of NAV and make an impact in your organization. Manage production, inventory, orders, and vendors. Make data-driven decisions an everyday work experience. Expand globally with multiple currencies and languages. 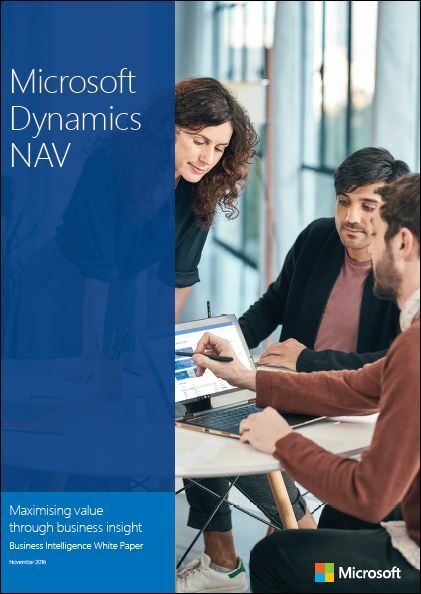 This white paper discusses how the business intelligence capabilities available with Microsoft Dynamics NAV can help people make informed decision-as a natural part of their everyday work experience. Dynamics 365 Business Central is based on the functionality of Dynamics NAV, but offers a modern user experience and the flexibility to deploy in the cloud or on-premises. You can transition from Dynamics NAV to Dynamics 365 as seamlessly as a typical NAV upgrade, while gaining all the benefits of the Dynamics 365 common data model and deep integration with Office 365. Turnkey Technologies is a Gold Microsoft Dynamics NAV Partner based in St. Louis, Missouri.